Yes, Minister: The Most Influential Sit-Com of All Time? | Warped Factor - Words in the Key of Geek. 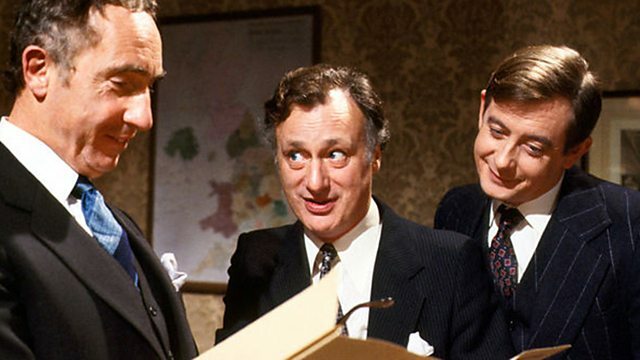 Yes, Minister: The Most Influential Sit-Com of All Time? Historically speaking, there has always been a difference between British and American sit-com tradition. In the most general of senses, the heroes of American sit-coms have either been winners, or figures to whom the audience can relate in terms of their aspirations. Britain on the other hand has always preferred its sit-com heroes to be losers, to be hopeless dreamers, tragically ill-fitted for the scope of their ambitions. If you want to get sociological about it, it reflects the relative phases of cultural empire in which the two countries have found themselves during the whole of the TV age – America in ascendance, Britain in decline. There’s also always been a similar disconnect as regards the leading political figures in each country – America has always had a tradition of ‘respecting the office’ whether or not one respected the person who filled it. Britain… notsomuch. Which is why it took until 1996 for the US to embrace Spin City, and 2012 for a comedy set in the corridors of national power, Veep (written by Armando Iannucci, who also created Britain’s The Thick of It, starring Peter Capaldi) to really take off. In the UK, we had a comedy that revealed both the skills and the ineptitudes of ‘everypolitician’ as far back as 1980, when Yes, Minister hit our screens. 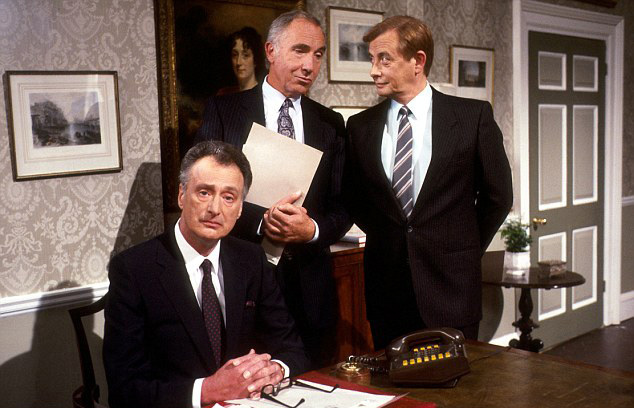 Yes, Minister was essentially a three-handed comedy set in the corridors of power, with British Cabinet Minister Jim Hacker, newly appointed from the backbenches (skillfully, the side of the political fence on which Hacker sat was never stated), with no experience of the job of government, but a determination to Get Things Done, even if only because getting things done played well with the media. The other two voices showed the structures that were in place essentially to stop him getting anything done – The Establishment - in the person of arch-mandarin and Permanent Secretary Sir Humphrey Appleby, and Hacker’s Principal Private Secretary, Bernard Woolley, whose loyalties are split between Hacker and Appleby, as he has to serve both a political master and a Civil Service one. Written by Jonathan Lynn and Antony Jay, the series explored not only some of the great political chestnuts of the day, but also the dynamics of power in the UK, in a way that was both accessible and genuinely funny, without at any point feeling threatening or revolutionary. It starred three proper dramatic actors in the lead roles, although Paul Eddington, who played Hacker, was best known to the public at the time for his role as Jerry Leadbetter, the good, suburban bloke next door in seventies self-sufficiency sit-com The Good Life, and Derek Fowlds, who played Bernard, was at the time best known as one of the companion-humans of wisecracking fox puppet Basil Brush. Nigel Hawthorne was best known for his theatrical work before Yes, Minister, but the three of them clicked into their respective roles perfectly, Hawthorne in particular having to learn insane screeds of linguistically demanding dialogue, as Sir Humphrey attempted to baffle Hacker with obfuscation without ever showing open disrespect. Sir Humphrey: Yes, yes, yes, I do see that there is a real dilemma here, in that, while it has been government policy to regard policy as a responsibility of Ministers and administration as a responsibility of Officials, the questions of administrative policy can cause confusion between the policy of administration and the administration of policy, especially when responsibility for the administration of the policy of administration conflicts, or overlaps with, responsibility for the policy of the administration of policy. By a combination of naturalistic scenarios, solid characterization which refused to make anyone actually stupid, but allowed for self-interest and active pragmatism, Yes, Minister ran for three successful seasons, and then got upgraded as Hacker, for want of anyone more controllable, was elevated by a kind of delicate Civil Service coup, to Prime Minister, for two seasons of Yes, Prime Minister. It also spawned three bestselling books – the political diaries of Jim Hacker, which were versions of the episodes, as they’d be recreated in political diary form. Where things get weird with Yes, Minister is that it launched the year after Margaret Thatcher came to power in the UK. Thatcher was reputably that oddest of things – someone without any notable sense of humour, who believes they enjoy a good joke as much as the next person. When asked, she said that Yes, Minister was her favourite comedy, and indeed one of the few things she made time to watch – rather suggesting that her narcissism knew very little in the way of an end – “Oh, is ‘Yes, Me’ on yet?” She even went so far as to allegedly ‘write’ a special scene and have the actors star alongside her in it when Yes, Minister was given an award by the notoriously prudish National Viewers’ and Listeners’ Association. It’s quite the most uncomfortable watch, and both Eddington and Hawthorne in their respective autobiographies mention it with a sense of disquiet. Where things get extra weird is that Thatcher, allegedly the biggest fan of Yes, Minister, went on to systematically abolish the notional political neutrality of the Civil Service, bringing in fixers who held to her own political views as a way of destroying the delaying mentality of the Service, and Really Getting Things Done. And whatever one feels about her politics, it is inarguable that Margaret Thatcher Got Things Done, in a way of which Jim Hacker could only barely dream. Is it too much to imagine that Thatcher took the lessons of Yes, Minister to heart not long after she arrived in Downing Street and decided not to be Jim Hacker, but instead to cut a swathe through the bureaucracy and red tape of the Civil Service by appointing people who politically agreed with her? Whatever the case, Yes, Minister and Yes, Prime Minister left a lasting mark on Britain’s cultural heritage – Sir Humphrey’s interminably long and complicated speeches in particular have become a shared cultural gag. Just as, for instance, everyone knows what a Dalek looks like and that it says ‘Exterminate!’ or that a Tardis is bigger on the inside than the out, so everyone of a certain age will hear long-winded over-complicated speakers and think immediately of Sir Humphrey. It failed to do terribly well, not because of any lack in the performances or the updated scripts, but because British politics has moved on from the days when Yes, Minister pulled in viewers, including the Prime Minister. That Prime Minister’s demolition of the old guard of Civil Servants and their neutrality, added to Tony Blair’s less formal ‘kitchen cabinet’ style of governance and heavy reliance on spin doctoring left the UK with a different political reality – a more visceral, vicious reality, which had already been satirised by Iannucci’s very sweary The Thick Of It. But where shows like The Thick Of It (and by association, the likes of Veep) satirise a modern world in which politics is both vicious and funny, Yes, Minister did it first, and arguably while keeping more significantly to the point. Watching it at thirty-five years’ remove is the political equivalent of watching a black and white movie – it’s a different, more eloquent world that’s being satirised, but it’s none the worse for that. This article was originally published Oct 12th, 2015.